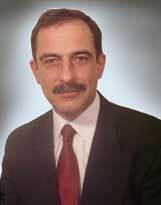 Mr. Luca has over 25 years of experience in the fields of engineering, systems analysis and marketing. He directs and manages projects for Global Renewable Energy (GRE) and TYCO Electronics Canada Ltd. Oversees the corporate compliance program by: reviewing compliance issues/concerns within the organization; ensuring the company that it is in compliance with regulations of regulatory agencies; and monitoring company policies and procedures and making sure that these policies and procedures are being followed. Dragos N. Luca is a project development manager for TYCO Electronics Canada Ltd. Other professional experience of Mr. Luca includes: managing all phases of multimillion dollar projects for car manufacturers such as Cadillac, Mercedes, Nissan, Lexus and Chrysler-Jeep; received the Clestica Award for the best Outsourcing Project Development Manager; supervised the Computer Aided Engineering Department of TYCO; owns 18 original patents in North America, Asia and Europe; process development Engineer for Tesan Mold Inc of Canada; sales manager for TTL Inc of Canada; project manager for George Kelk Corporation of Canada; and a systems engineer for Electronics and Automation SA of Romania. Mr. Luca�s educational background includes: a Commodity Exchange Diploma from the Academy of Economical Studies in Bucharest Romania and Master of Science Degree from Bucharest University in Romania. Mr. Luca speaks English, French, German, Italian and Romanian. Dragos N. Luca is a member of Mensa International.